Over the last decade, commentaries and research on urban tourism precincts have predominantly focused on: their role in the tourism attractions mix, their physical and functional forms, their economic significance, their role as a catalyst for urban renewal, their evolution and associated development processes, and, perhaps more broadly, their role, locality and function within the context of urban planning. 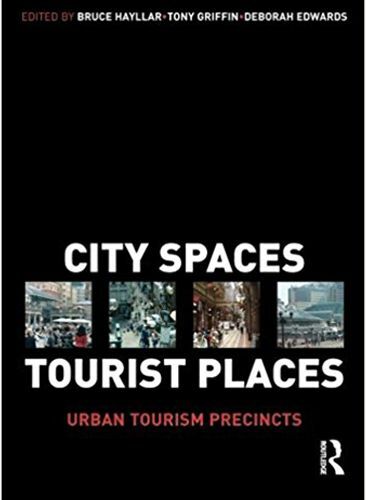 City spaces tourist places both consolidates and develops the extant knowledge of urban tourism precincts into a coherent research driven contemporary work. It revisits and examines the foundational literature but, more importantly, engages with aspects of precinct development that have previously been either underdeveloped or received only limited consideration, such as the psychological and socio-cultural dimensions of the precinct experience. Written by an international team of contributors it provides the reader with: a comprehensive analysis of foundational theory and cutting-edge advances in the knowledge of the precinct phenomenon, an examination of previously underdeveloped topics and themes based on contemporary and ground-breaking research typological and theoretical frameworks in which to locate precinct form, function and experience brilliantly edited to ensure theoretical continuity and coherence city spaces tourist places is vital reading for anyone involved in the study or planning of urban tourism precincts.